The business and purpose of the Florence County Agricultural Society shall be to promote the agricultural and natural resources of Florence County along with the domestic livestock, and related interests of Florence County residents and visitors accumulating with holding an annual County Fair. Do you have questions or are you interested in learning more? 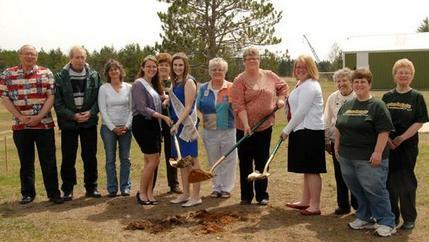 Pictured above is the 2013 Florence County Fair Board & Fairest of the Fair at the official ground breaking ceremony for the new beer stand/second stage being constructed at the fair park this year. Pictured above are some of the 2016 Florence County Fair Board & the Junior Fairest of the Fair at the Junior Fairest crowning in June 2016. *You may need to leave a message on an answering machine. Someone will get back to you as soon as possible.